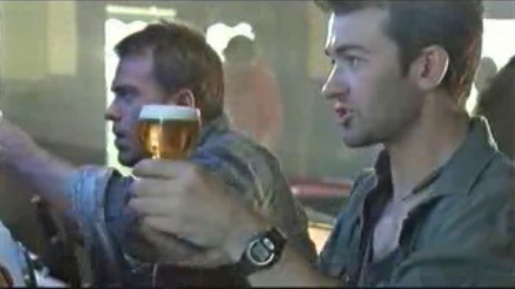 Transport Accident Commission (TAC) in Victoria Australia in 2000 launched ‘Pub’, a TV ad targeting the typical repeat drink driver who unlike his mates persists in driving home from the pub. Paul Oakley ignores suggestions that he calls his wife, take a taxi or just walk. He kills two aged pedestrians and is put in prison for five years for culpable driving. Pub was developed at Grey, Melbourne. Filming was shot by Cherie Nowlan, now at Doll.